Users who have a mobile device like a smartphone or tablet often need a way to print, but may have found the process to be difficult to use or even impossible, as older printers often don’t provide adequate solutions. Newer devices come with support for Apple’s AirPrint, Google Cloud Printing, and other protocols that can make printing from tablets and smartphones as simple as a few taps on the screen. 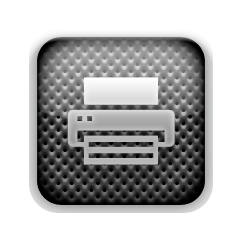 Once set up, these protocols can often enable printing from just about any app on the device. 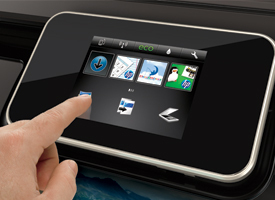 Many modern photo printers have large, full-color touchscreen displays that make it much easier to navigate menus and access features. The best of these use web-enabled features to allow you to download apps and accomplish a number of tasks quickly and easily. With HP’s ePrintCenter feature, for example, you can download apps that let you browse and print photos from your Facebook or Flickr account, or browse templates for things like graph paper and Sudoku puzzles. This all happens right from the printer’s control panel, without the need to go to a computer. This feature allows users to send a document, photo, or web page to a unique email address, and have it begin printing automatically, or added to a queue for later access. This means that any device that is capable of sending email can submit a document for printing, without any tedious setup process. Imagine sending photos from your road trip directly to your grandmother’s email-enabled photo printer and having them automatically printed. No computer is required, and no proprietary protocols are needed. The common thread between each of these features is that they represent a way to make printing photos and documents easier, and to take advantage of wireless technology to integrate multiple devices together. The fact that most of these features weren’t around as little as a few years ago is a testament to how quickly technology evolves. When you are considering your next photo inkjet printer, keep these features in mind, and you can take advantage of exciting new ways of printing and sharing your favorite photos from almost any device.